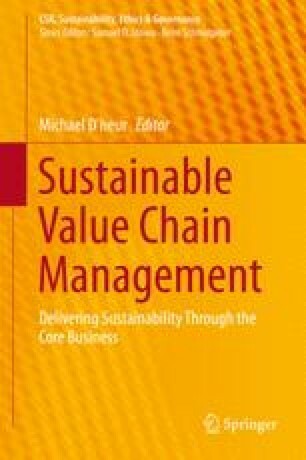 As a result of external pressures and internal adjustments, Banks have started to consider sustainability in their value chains. What started with a focus on internal processes, use of materials and energy consumption, has now developed into a sophisticated system which considers Environmental, Social and Governmental (ESG) criteria. Structures like the Equator Principles and Sector Policies helped banks to place an even higher emphasis on sustainability. After all, they can influence issues like climate change, poverty and labour rights significantly by evaluating their borrowers’ sustainability practices. The current sustainability efforts of banks are only sufficient, if they do embed sustainability in the core business. While voluntary standards helped to raise the bar real juice is on the opportunity. The real opportunity is to apply sustainability through positive impact financing. Banks are uniquely positioned to move from financing the economy to financing positive impacts and shared value creation. Carbon Tracker. (2012). Unburnable carbon – Are the world’s financial markets carrying a carbon bubble? http://www.carbontracker.org/site/wp-content/uploads/downloads/2011/07/Unburnable-Carbon-Full-rev2.pdf. Accessed 22 May 2014. Carbon Tracker. (2013). Unburnable carbon 2013: Wasted capital and stranded assets. http://www.carbontracker.org/site/wastedcapital. Accessed 22 May 2014. Economist. (2013, November 16). Worse than Hell. http://www.economist.com/news/asia/21589916-one-strongest-storms-ever-recorded-has-devastated-parts-philippines-and-relief. Accessed 30 May 2014. Equator Principles. (2013). The equator principles. http://www.equator-principles.com/resources/equator_principles_III.pdf. Accessed 22 May 2014. NPC Norway. (2013). Norwegian bank investment management violates OECD guidelines. http://www.responsiblebusiness.no/en/2013/05/27/norwegian-bank-investment-management-violates-oecd-guidelines/. Accessed 22 May 2014.